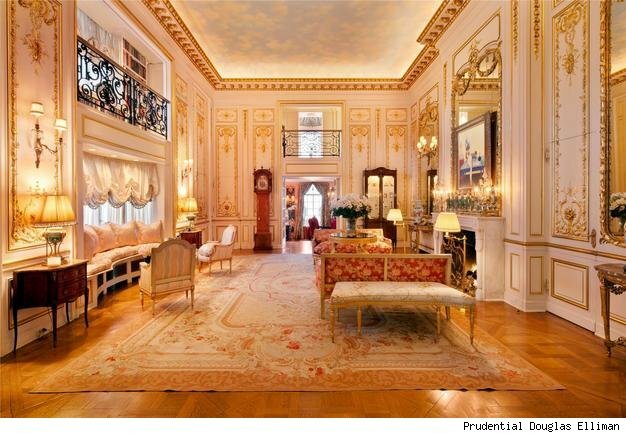 Joan Rivers' opulent penthouse apartment is for sale at an asking price of $29.5 million. The comedienne's 5,190-square-foot pad, known as the Spencer Condominium, is situated atop one of the Upper East Side's greatest pre-war limestone mansions, less than half a block from Fifth Avenue. 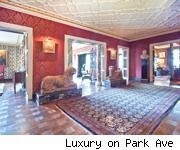 Designed by Horace Trumbauer -- the famed Gilded Age architect-to-the robber barons -- this neo-French Classic apartment contains four bedrooms and five baths. From the private elevator entry hall, guests enter a stunning two-story gallery, connected to a lavish, light-filled living room -- both rooms boasting wood-burning fireplaces, 23-foot ceilings and fine parquet-de-Versailles flooring. Other rooms in this elaborately furnished residence include a large corner library and a formal dining room with 18th century French panels, each overlooking a south-facing, sunbathed terrace. 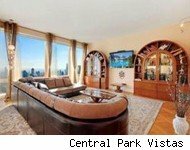 Upstairs, the master bedroom suite commands sweeping views of the city and Central Park and includes a second full bathroom and corner office.